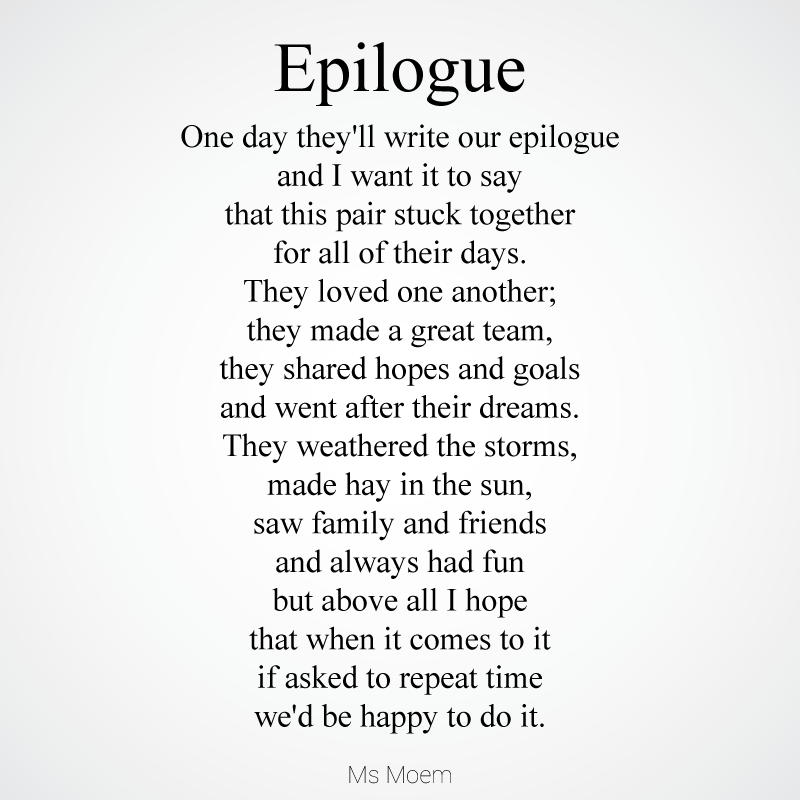 epilogue Archives | Ms Moem | Poems. Life. Etc. and went after their dreams. we’d be happy to do it. 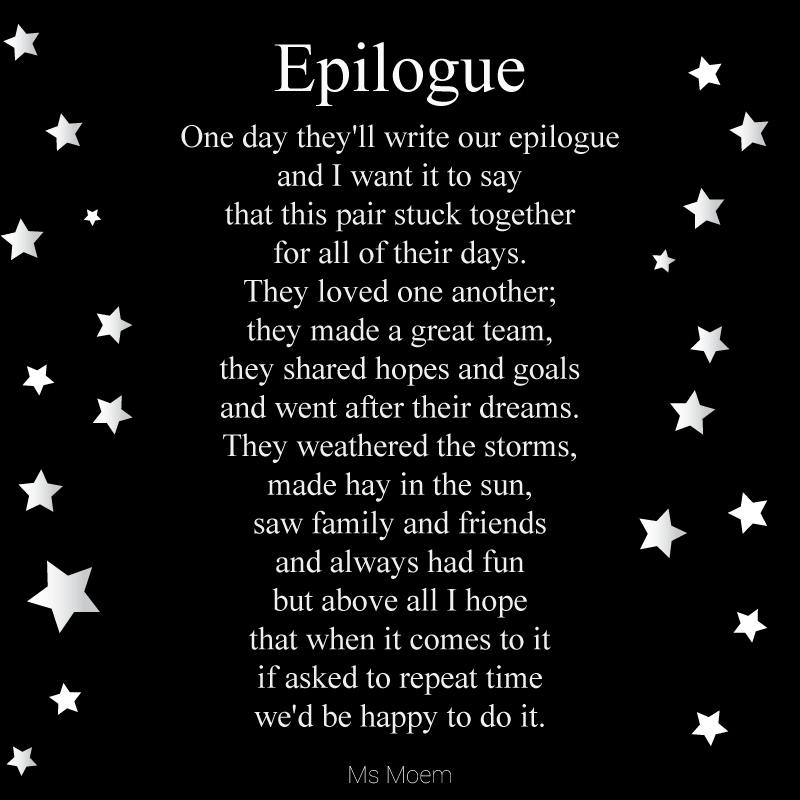 Epilogue is a wedding poem written by Ms Moem. If you want to use this poem at your wedding as a wedding reading, please do drop me a line and let me know! I’d love to wish you luck for your special day. If you like this wedding poem, you may be interested in my book of Modern Wedding Poems which is available on Amazon and Waterstones.